The Initial Thoughts collection by Roberto Coin showcases this letter I necklace. 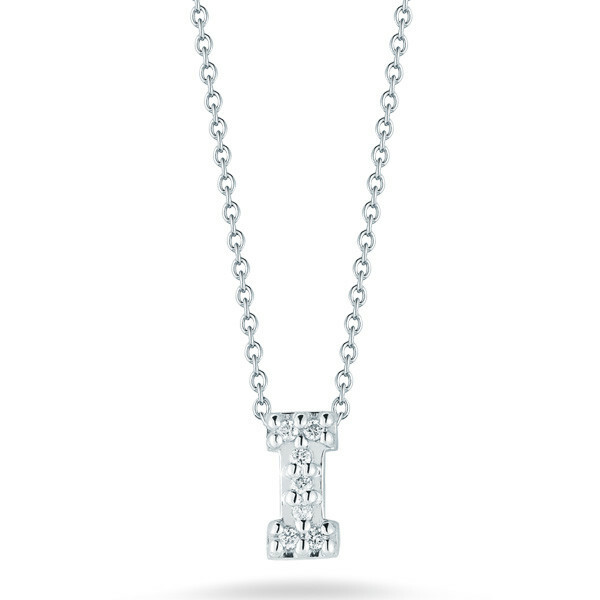 Crafted in brilliant 18kt white gold and embellished with vibrant diamonds, the piece floats along an adjustable chain. Accentuate your look with a personal touch from Roberto Coin!